It’s that time again. The air is turning crisp, the leaves are turning colors, and all thoughts turn to…pumpkin spice. (Actually, just like Christmas shopping starts earlier and earlier each year, pumpkin spice season seems to be inching forward each year as well; this year’s first sightings came as early as mid-August). This pumpkin spice craze has seemingly come out of nowhere in the last few years, and it shows no signs of abating. 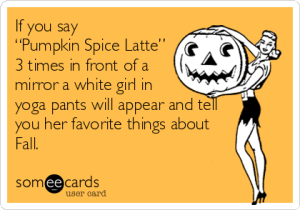 As a white girl who admittedly shuns pumpkin spice lattes, and any other artificially-scented or flavored pumpkin spice concoctions (especially those awful-smelling candles that predated the latte phenomenon), I have been at a loss to comprehend the pumpkin spice appeal. As a cultural historian, I can only assume that the sudden affinity for all things pumpkin spice has some sort of deep cultural resonance—and that our culture’s seemingly insatiable taste for pumpkin spice must be telling us something meaningful about ourselves. It occurs to me that there’s a disconnect of sorts in this pumpkin spice devotion. 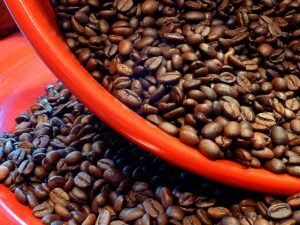 It seems that for many, the pumpkin spice flavor and aroma have come not only to represent fall, but in fact to substitute for the actual experience of fall. Fall isn’t fall until that first sip—even if that sip comes in mid-August. 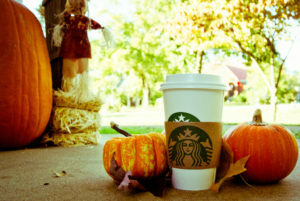 Pumpkin spice’s popularity has risen during a time when more and more individuals’ actual experience of fall—real, natural fall, as in the inevitable (if you live in the north part of North America, at least) turn of the seasons, the reminder that all that is living must come to an end—has diminished to insignificance. For nearly all of human history, fall has demanded action—hunting game, harvesting crops, storing up for the long, bleak winter. But most of us don’t have to do much in the way of preparation these days. 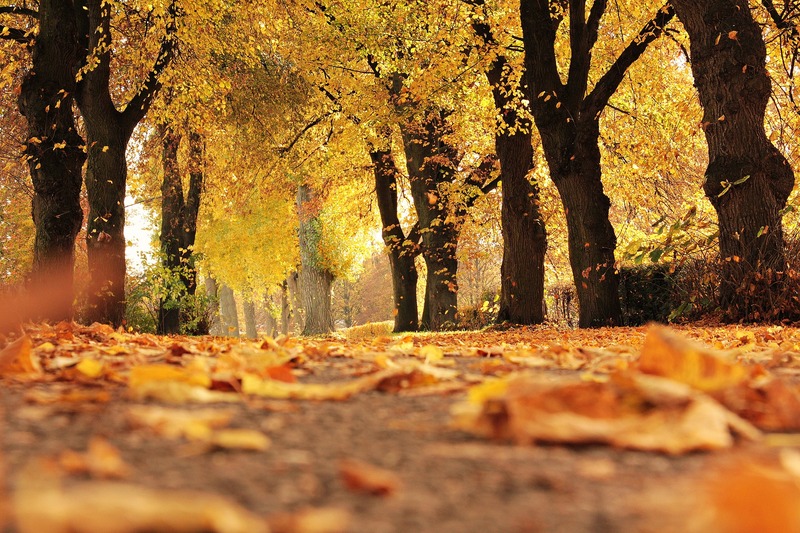 Maybe a bit of raking, if we’re among the few without a bagging mower or a high-powered leaf-blower, or remembering to make that appointment to winterize the sprinkler system. Beyond that, however, fall demands little of us. And so perhaps deep down we long for some way to mark this passing of time, this turn from summer to winter. The irony here, however, is that the thing we’ve substituted for the actual experience of fall—“pumpkin spice”—apparently contains little that can be considered natural. It is in this regard that the pumpkin spice phenomenon reminds me of maraschino cherries. I first encountered the story of the maraschino cherry in Kitchen Literacy: How We Lost Knowledge of Where Food Comes from and Why We Need to Get it Back, a thoughtful book by Ann Vileisis. 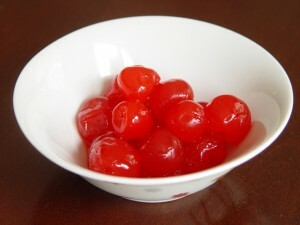 Maraschino cherries are hardly a controversial topic today, but in the late nineteenth and early twentieth century, they represented the dramatic changes taking place in American food production and consumption. Harvey Wiley, an early advocate for the first federal Pure Foods and Drugs Act in 1906, had begun his study of food adulterants already in the 1880s, and to Harvey the maraschino cherry epitomized all that was wrong with the adulteration of natural foods. As Vileisis explains, “the most common method of making them was to soak the fruits in brine and sulfurous acid until all natural color was gone. Washing away salt and acid also removed the flavorful juice, nutriment, and all other soluble portions of the cherry.” Thus, according to Wiley, maraschino cherries could not be “regarded in any sense as resembling even in color the natural fruit, since practically the whole of the natural fruit, except its cellular structure, has been withdrawn and artificial substances substituted in place thereof.” As Vileisis concludes, “the maraschino cherry was a human fabrication of sugar, coal-tar dye, artificial cherry flavor, and almond oil.” Initially intended to imitate nature, the bright color and artificial flavor ultimately came to replace it. I wonder, then, if our pumpkin spice lattes haven’t become our twenty-first century maraschino cherries. We can purchase our experience of fall at our convenience through the nearest drive through and satiate, at least in part, a deeper need to connect with the natural world. But in doing so, we’re actually further distancing ourselves from that natural world. Du Mez, Kristin Kobes. “Pumpkin Spice Lattes, Marascino Cherries, and the Meaning of Autumn.” Historical Horizons, Calvin College. October 24, 2014. https://historicalhorizons.org/2014/10/24/pumpkin-spice-lattes-maraschino-cherries-and-the-meaning-of-autumn. Republished at Anxious Bench, Patheos. Previous PostGordon Wood on Bernard Bailyn: American Religious History and "An Honest Picture of the Past"